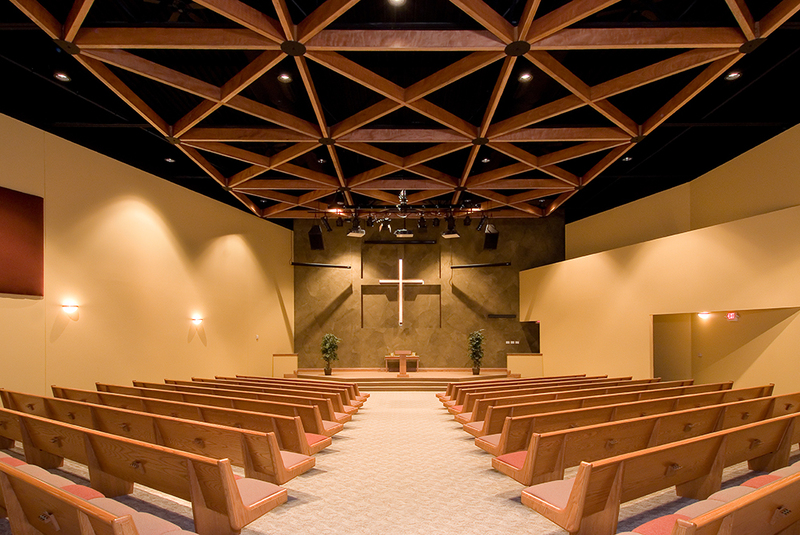 Midwest Church Design + Construction | Design. Build. Grow. We help churches design and build every square inch of space to grow vital, life-changing ministry. The building process can be complicated. Midwest Church Design + Construction uses our expertise to simplify the process and manage every detail of your project so you can keep your focus where it belongs—on your ministry. Following the large vision of the pastoral staff at CedarCreek Church, Midwest Church Design + Construction developed a facility master planning strategy for their first permanent campus. Nestled off 75 in the heart of beautiful, Perrysburg, Ohio, the first phase of construction included a 1,400-seat auditorium, classrooms, and offices. The second phase included separate family entrance, expanded children’s classrooms, café, and multi-purpose atrium, chapel, bookstore, and additional restrooms. The value-conscious design exhibits bright and open internal spaces meant for large and small group gatherings, intimate ceremonies, classes, and an auditorium that can host large-scale performances by national musical acts. As the second largest church in Ohio, this 80,000 sq. ft facility was the first, and largest of six campuses that CedarCreek has launched in the Northwest Ohio area with an average weekly attendance of almost 10,000.